A 15-year-old girl suburban Houston girl who survived an attack in which her parents and four younger siblings were killed says she's on the road to recovery. 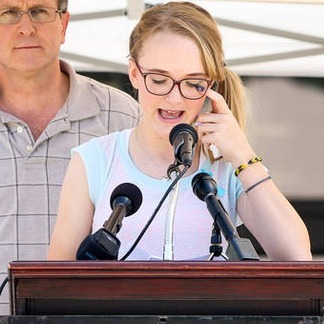 Cassidy Stay thanked first responders Saturday while speaking to a crowd at an elementary school in her hometown of Spring, the Houston Chronicle reported. It was her first public appearance since the shootings. "Happiness can be found even in darkest of times, if one remembers to turn on the light," Stay said, paraphrasing a quote by Albus Dumbledore.